The FF Plus today welcomed the recognition of the Kleinfontein settlement as a cultural community by the Gauteng Legislature, Mr. Jaco Mulder, FF Plus MPL in Gauteng says. 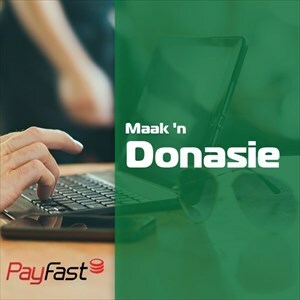 This follows on the report of the controversial investigation which was undertaken in November 20012 into the alleged refusal of admission to SAPS members to the premises of Kleinfontein, being presented in the Legislature. Mulder described the report as positive and said that nothing had come of the initial aggression with which the portfolio committee for community safety, which was authorised in terms of the Committee Investigations Act, 8 of 2009, tackled its investigation. Mulder which had been a member of the investigative committee stated further that numerous wrong perceptions about Kleinfontein had been cleared through the process, which prepares the way for Kleinfontein to continue existing as a cultural community within the framework of the South African Constitution. During the constitution-making process of 1996, the FF Plus succeeded to have Section 185 and 235 included in the South African Constitution, which amongst others recognise the rights of religions, language and cultural communities as well as the right to self-determination. 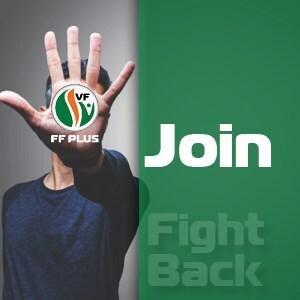 The FF Plus is committed to promoting the right to self-determination of peoples, in particular the Afrikaners, which ensures the continued existence of amongst others, communities such as Orania and Kleinfontein.